This season your look gets better definition with just a little attention to detail. Create a smoldering impact by this cream net lengha & red banglori silk choli. 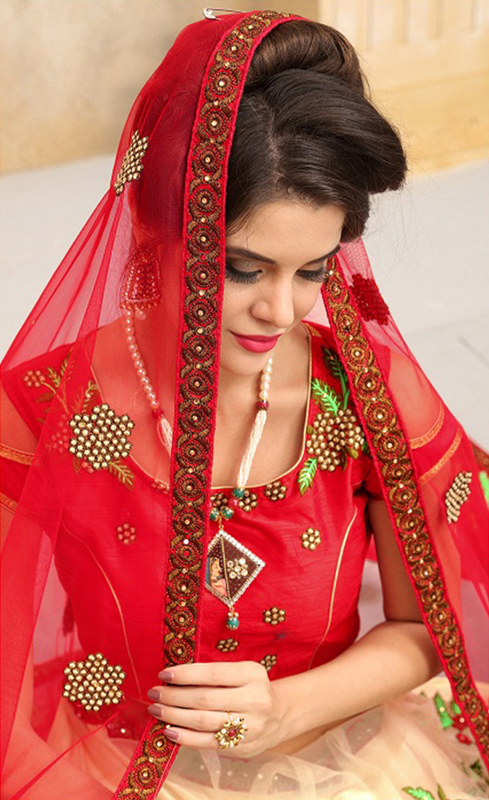 The lovely embroidered lace and resham work throughout the attire is awe inspiring. Suitable for bridals and wedding wear. Teaming this attire with classic jewelry would make your look more outstanding.